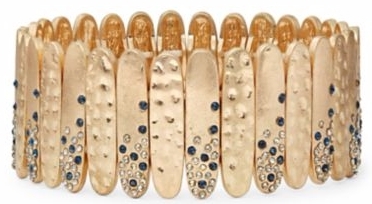 Lord & Taylor has this Kensie Studded Stretch Bangle priced at $20.00, but enter promo code FALL and that price drops to $16.00 with free Shoprunner 2-Day shipping. I ordered this bracelet and it is GORGEOUS and looks way more expensive than it is. Very elegant, modern piece. Just how truthful are reviews on Amazon?